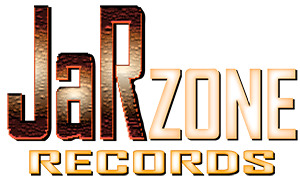 JaRZONE Records - the record label with the ultimate sonic experience - brought to you by seasoned musicians and accomplished songwriters - JAY GRAYDON and RANDY GOODRUM - JaR. The first album on JaRZONE Records - SCENE 29 - was released October 1, 2008, in the US. ORDER YOUR COPY NOW!!! Ships within 24 hours. The album is also available as an MP3 download - the full album as well as each song as a separate download. Are you the kind of person that would rather drive a real race car, or the kind of person that would rather go to Chucky-Cheese and do a video simulation? Are you the kind of person that would rather go to a great Italian restaurant, with nightly specials, a great singing violinist, awesome fresh, hot food, perfectly prepared to be served at an exact moment, or are you the kind of person that would rather have pizza to go? Are you the kind of person that would rather go to a beautiful, architecturally inspiring art museum and see original masterpieces hanging on the wall a few feet from you with a museum docent nearby to answer questions, or would you rather go to Google Images and look at them that way. Are you the kind of person that would rather read a story from a tangible, sturdy, 3 dimensional book, or are you the kind of person that would rather read an e-book? Finally, are you the kind of person that would rather hold a CD in your hand, complete with a 16 page booklet with pictures, information about the artists, information about participants in making the album, in short, an object that you can put in your car stereo, home stereo, and reliably archive your little musical gem for countless years, or would you rather download the album from the internet? Oh, and one more thing: would you rather have a hard copy with a complete audio reproduction of the original master in 16 bit form, or would you settle for a compressed, lesser quality mp3? All written material, images, logos, video, audio and photos in all sections of this website copyright © Jay Graydon/Randy Goodrum/KEO 2008 - 2016. All rights reserved.